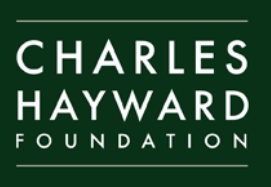 The Charles Hayward Foundation funds charitable programs in criminal justice; heritage and conservation; and older people. It also funds projects that improve the livelihoods of disadvantaged communities in the Commonwealth countries of Africa. Main Grants – Overseas. In its “overseas” program, the Foundation accepts applications from UK charities that have annual incomes of between £150 thousand and £5 million, and that seek funding for livelihoods projects in Africa’s Commonwealth countries. Projects should focus at the grassroots level with proven local partners. Categories for support include water and sanitation; capacity building in agriculture and income-generating activities; and health. Grants are up to £15 thousand. APPLICATION: The Foundation describes its funding priorities, exclusions, and application process. Applications for main grants are considered on a quarterly basis. There is no calendar deadline. The following are the Commonwealth countries of Africa. The Foundation provides its contact information.